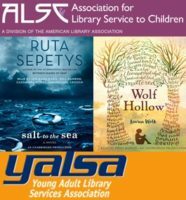 Listening Library is proud to announce this year’s Young Adult Library Services Association (YALSA) Amazing Audiobooks for Young Adults and Association for Library Service to Children (ALSC) Notable Children’s Recordings. Share these outstanding listens with your young patrons. The 2017 Amazing Audiobooks list, comprised of fiction titles and nonfiction, features recordings that cover a wide range of interests for young adults from historical fiction, to sci-fi, to realistic fiction. 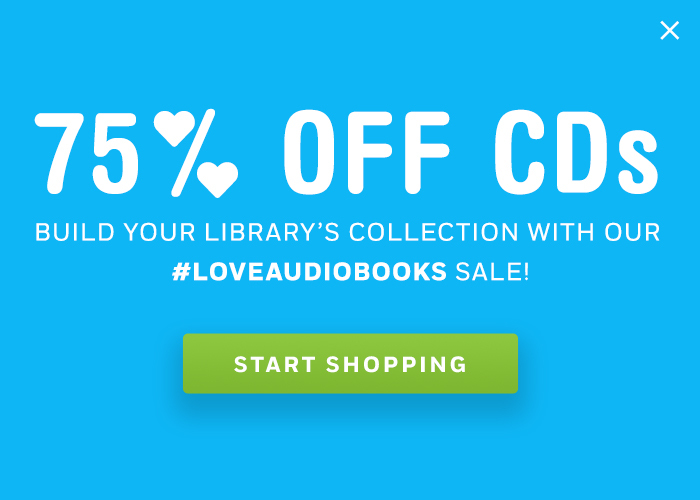 Use the slider below to see Listening Library’s 18 Amazing Audiobook selections. When their space station is threatened, the captain’s daughter and a mafioso are the best chance for saving their new home. The pace never lets up in this full cast production that drops the listener right in the middle of the action. After leaving the Jedi, Ahsoka begins to quietly live her life as a mechanic. When the Empire invades the new planet she has settled on, she gives them more of a fight than they anticipated. Eckstein’s high energy narration is enhanced by full movie-like sound effects, making this one out of this world. In this twisty tale of manipulations, Midnight finds himself caught between two girls—one who is lost, the other who creates her own story. Crouch, Packard and Davies work together beautifully in this atmospheric mystery, bringing depth to each of the characters. Buffy the Vampire Slayer, hamsters, anime, and drawing cat whiskers…just a few of the obsessions of British YouTube stars, danisnotonfire and AmazingPhil. Dan and Phil take this visually amazing book and transform it into an even more amazing audiobook. The real and gruesome tales from the Brothers Grimm are told by the biggest names in audiobooks. Every curse, every transformation, every chopped off appendage is presented with flourish in one convenient place. In the midst of losing the war against the Council of White Witches, Nathan struggles to deal with having become a killer like his father. In this final volume of the Half Bad trilogy, Prekopp’s distinctive accents with enhanced sound effects makes this a listening adventure. Lisa Praytor wants to earn a psychology scholarship by curing her ex-classmate Sol of his agoraphobia. Daymond and Whelan’s emotional intensity builds with each chapter as the characters test the boundaries of their newly formed friendship. In this love story between Jack and Libby, each must overcome obstacles—the least of which are his face blindness and her weight struggles. Marie and Daymond strike the perfect balance between these two teens as they come together. It seems as though Thisbe jumped to her death, but her sister and friends are determined to find out where she really is. Hoppe deftly captures the personalities of the characters in this story told from multiple perspectives. Iron Man is outwitted by a young Irish girl who hacks into his suit in order to free her sister from an orphanage where she is being held captive. Fliakos skillfully handles the many accents while his comedic timing adds a level of fun to the intensity of the book. Henry Page is happily sailing through his senior year, until broken and mysterious Grace Town is chosen to co-edit the school newspaper with him. Daymond’s character voices will leave readers laughing and crying making this a memorable production. Emmaline lives in a house with other children who suffer from the stillwaters (TB) during World War II. Only she can see the winged horses in the mirrors and one of them desperately needs her help. Hardingham’s narration gives this story a hint of childlike wonder mixed with the horror of living with tuberculosis. Sofia and Gideon want to bring down Laroux Industries and close the rift between their world and that of the Whispers, an alien life form. But to do so, they will have to trust each other as the Starbound Trilogy comes to a satisfying end. Spooky sound effects add to the narrators’ solid character portrayals in this space odyssey. Years after Skip escaped his dysfunctional family to attend boarding school, they locate him, dragging him back into their lies and schemes, where he finds himself wrapped in a murderous plot. Daymond’s Long Island accents construct this perfectly campy story. Read author Billy Taylor’s blog post about the audiobook. The Notable Children’s Recordings list includes recordings for children 14 years of age and younger of especially commendable quality that demonstrate respect for young people’s intelligence and imagination; exhibit venturesome creativity; and reflect and encourage the interests of children and young adolescents in exemplary ways. Use the slider below to see Listening Library’s 6 Notable Children’s Recording selections. Allan Corduner’s gentle narration guides this dark journey of a young girl and the mysterious man she befriends in the harsh environment of World War II Poland. Ages 12 and up. A rollicking performance by Katherine Kellgren lets the listener enjoy the adventures of shy Mr. Tibble and the unusual Miss Minou. Ages 6-12. Rosalyn Landor deftly captures a wide range of sound effects and characters, from bats to shapeshifters, in this lively fantasy tale. Jenna Lamia’s distinctive voices for Raymie and her friends infuse this audiobook with humor and heartbreak, making for a memorable listen. Ages 10-14. In an installment of Tales from Deckawoo Drive, Lorna Raver narrates this story of Baby Lincoln’s Necessary Journey, bringing Kate DiCamillo’s inimitable style to life in an engaging way. Ages 6-9. Emily Rankin’s intimate narration carries the listener along on 12-year-old Annabelle’s haunting journey through a web of lies in a small Pennsylvania town in the shadow of WWII. Ages 10 and up. Click here for more 2017 ALA Award Winners on the blog!